Frank was crowned World Chocolate Master in 2011 at the prestigious competition in Paris, winning first place in the Showpiece and Dessert categories. The judges at the WCM described his work as breathtaking and remarkable. Frank’s eye for detail and elegant style are apparent in all of his products and have been internationally praised. Frank launched his career in 2001 after spending 7 years studying Pastry Arts in the Netherlands. Since then he has worked as the Executive Pastry Chef in top establishments including Dobla, where he was responsible for product development and design, and The Victorian in Kuwait, developing of high end cakes, chocolates and pastries. Frank then started a new adventure as the executive pastry chef at the newly opened Madarin Oriental Hotel in Taipei where he has overseen the product develop for the brand new pastry kitchen. Currently, Frank is the Executive Pastry Chef at the prestigious Peninsula Hotel Hong Kong. After graduating high school Chef Melissa left her home country of Colombia to study Pastry at The French Pastry school in Chicago. Soon after, she moved to Las Vegas to work at Joel Robuchon at the Mansion, a three Michelin Star Restaurant where she run the Pastry kitchen of L’Atelier de Joel Robuchon. When she realized that her true passion was Chocolate, she decided to gain experience in that field working in Casinos like Caesar’s Palace and The Bellagio, where she was dedicated only to work with Chocolate. 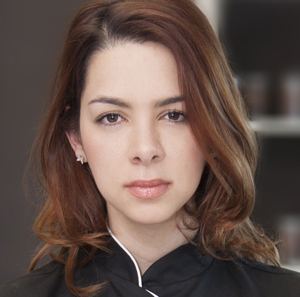 In 2012 Chef Melissa co-founded Jean-Marie Auboine Chocolates. A whole sale Chocolate Company in Las Vegas. Throughout her career Chef Coppel has been recognized for her exceptional chocolate artistry, winning several industry awards: In 2013 she won the title of ” Chocolatier of the Year ” at Pastry Live Competition in Atlanta. In 2016 she was named one of the Top Ten Chocolatiers in North America by Dessert Professional Magazine. 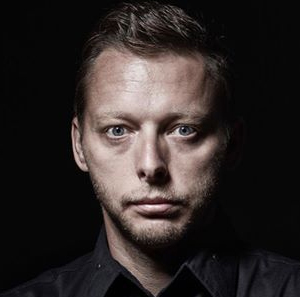 Jérôme Landrieu, head of the Barry Callebaut’s Chocolate Academy in Chicago, has been named one of the “Top 10 Pastry Chefs in America” for 2011 by Dessert Professional magazine. Landrieu will formally be recognized at an awards ceremony at The Institute for Culinary Education in New York on June 6. The prestigious award recognizes outstanding chefs who elevate the industry as a whole with their contributions in talent, innovation, and community service, and who also embody a spirit of excellence and hospitality. After receiving his certification in pastry and chocolate, Landrieu worked at multiple highly esteemed pastry shops and restaurants in France. In these positions, he managed large kitchen teams putting out decadent desserts and studied under three chefs who won the prestigious Meilleur Ouvrier de France (M.O.F.) competition. Landrieu’s passion for excellence led him to begin teaching at the Superior National School of Confectionery and Pastry in Yssingeaux, France, and just before coming to the United States, he completed his fourth year at The Bellouet Conseils School, an acclaimed Parisian school for the art of desserts. While teaching at The Bellouet Conseils School, Chef Landrieu began traveling around the world to conduct pastry and chocolate demonstrations. It was during this time that his interest and passion for international food and culture was born. 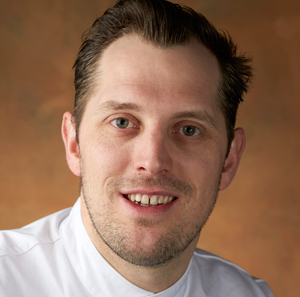 In 2008, Chef Landrieu joined Barry Callebaut’s Chicago Chocolate Academy, where he is in charge of guiding the school towards meeting its goals of sharing knowledge about chocolate and desserts with both professionals and non-professionals alike. He manages the Academy’s staff, develops classes and recipes, and is constantly seeking out talented guest chefs for specialty classes. 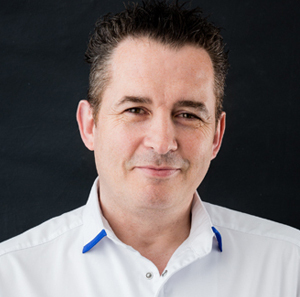 Hailing from Ireland, Paul Kennedy has over 30 years in the chocolate and pastry industry. Having worked in numerous exquisite restaurants honing his craft, Paul moved to Australia and continued his culinary dream as Executive Pastry Chef at Cairns International. In 2007, Paul was the Winner of the Best Chocolates in the World at the World Chocolate Masters in Paris, joining a very exclusive club of winners of the award. He then had the honour of representing Australia in the Grand Prix of Patisserie in Japan. Paul now works at Savour Chocolate & Patisserie School in Melbourne teaching thousands of students a year and mentoring several. Kirsten represented Australia at the World Pastry Team Championships in Las Vegas, USA, where she was recognised as the best in the world for her handmade chocolates. She also won a Gold and Bronze medal at the Pastry Olympics in Germany. As a testament to her skills, Kirsten was given the honour of judging the World Chocolate Masters in Paris. Kirsten’s talents extend beyond the kitchen and her first self-published cookbook, Chocolate to Savour, won the award for Best Photography from Gourmand in the UK. She regularly contributes recipes and articles to a number of the world’s leading pastry publications including So Good… Magazine, Pastry and Baking North America, Pastry and Baking Asia Pacific. Kirsten makes regular television appearances, including MasterChef Australia and Everyday Gourmet. As ambassador for leading chocolate manufacturer, Callebaut, Kirsten regularly travels throughout Europe and the Asia Pacific demonstrating her craft. 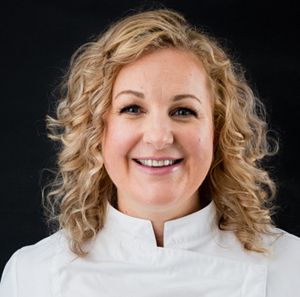 With a desire to pass on her knowledge to other passionate food lovers and professional chefs, Kirsten established Savour Chocolate & Patisserie School in 2002 in Brunswick, Melbourne.